Artist's note: My commission at Valley Con this pass weekend. 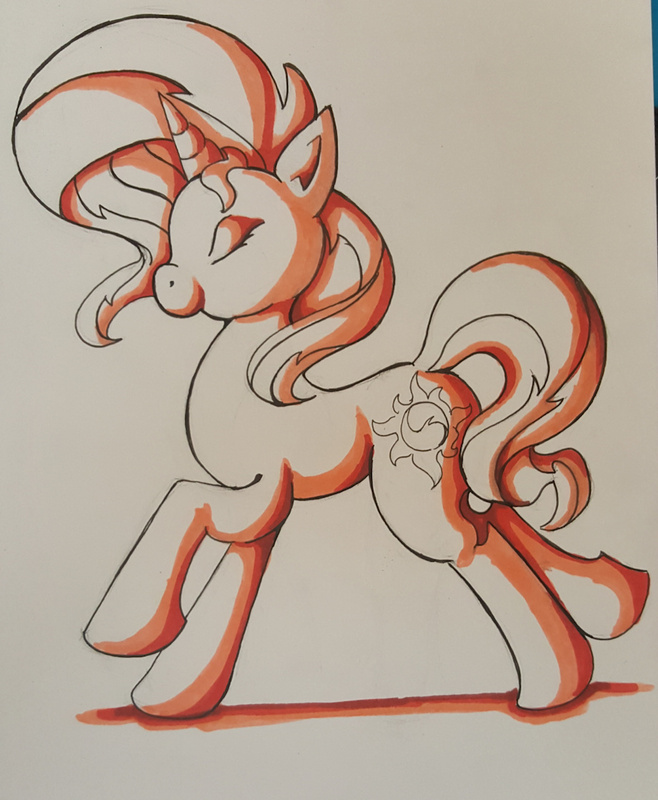 A young lady asked me to draw a simple picture of Sunset Shimmer and color her in one single color. I have to say she turned out really good and due to several new techinques. I was able to get it done quicker than normal. Yay me!! !